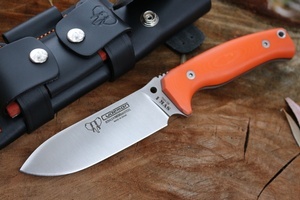 Excellent quality general purpose Outdoor knife from Cudeman of Spain. The solid, 4.5mm thick full broad tang and tough N690 steel make for a reliable tool, with a fine cutting edge, great edge retention (60HRC) and corrosion resistance. 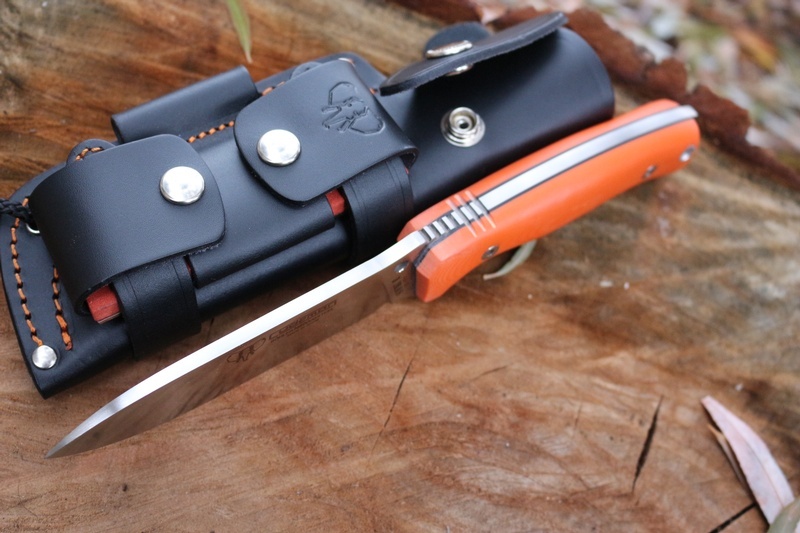 Good blade shape, this knife lends itself as a Bushcraft, survival, hunting or Camp knife. The Solid Orange G10 handle is tough and comfortable and great for a variety of grips and has Black liners and lanyard hole. 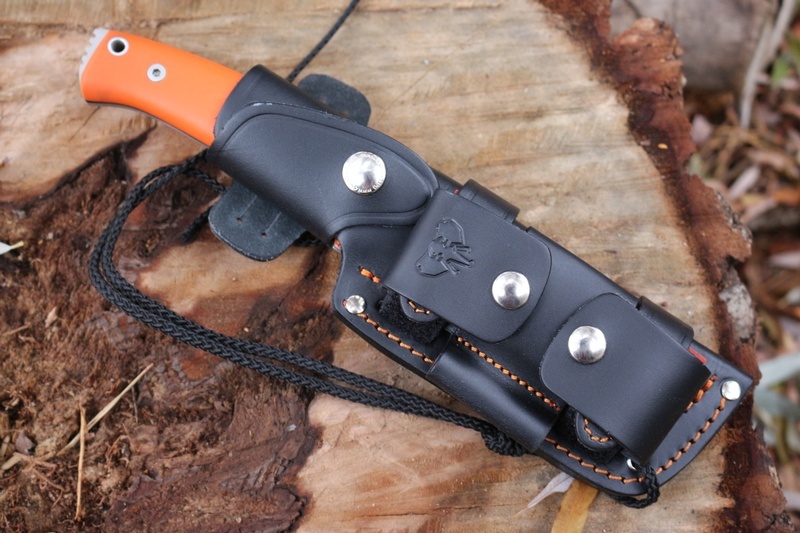 Comes with a nice quality sheath and pouch, see pics for details. 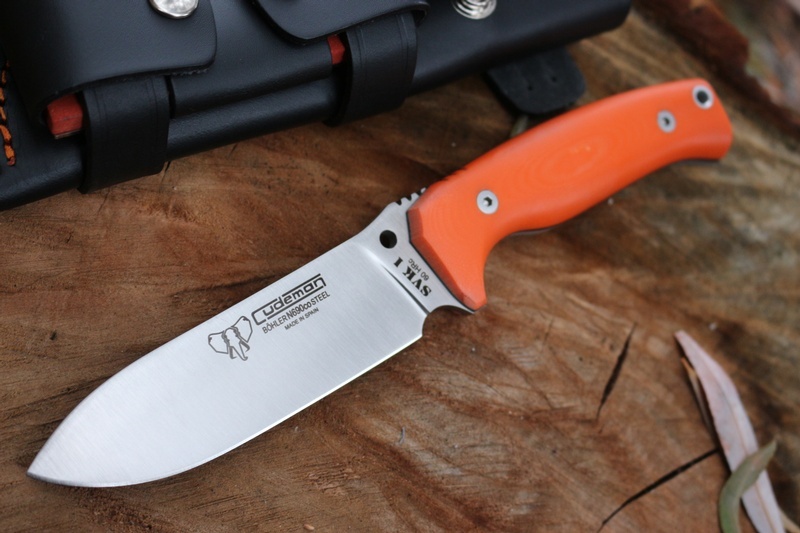 Purchase through PayPal by using the "Add To Cart" button above or use the form below to order the Cudeman 251 JC Orange G10 N690 . 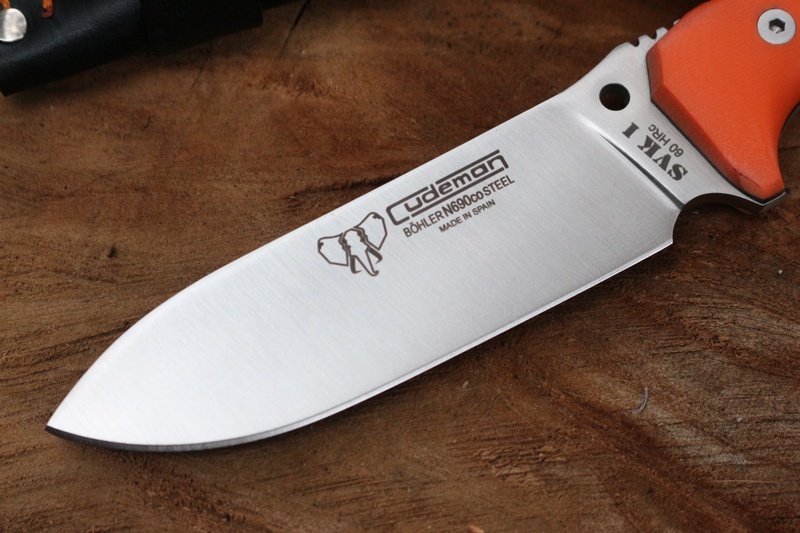 Feel free to contact us if you have any questions about the Cudeman 251 JC Orange G10 N690 .